A few months back, my friend and I went to see a collection of war footage accompanied live by a BBC musician, and I don’t exaggerate: the effect was magical. With dynamic sound effects and voiceovers, the images were brought to life and the characters suddenly became real people who spoke, thought and moved. 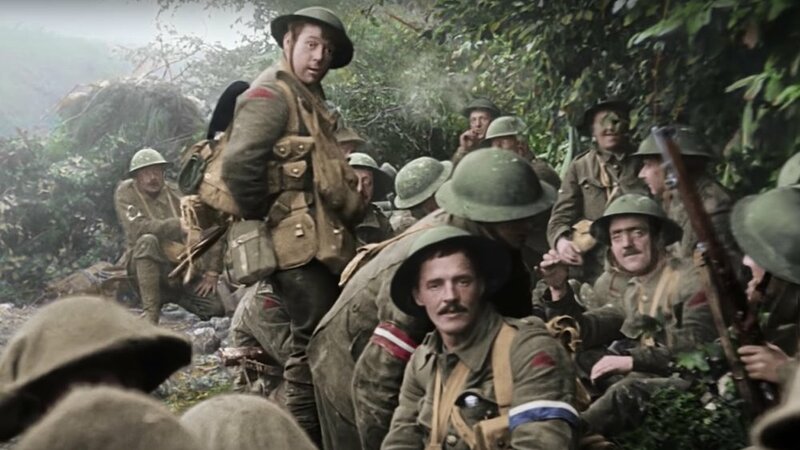 Using the right tools, even exceptionally rare and alienated footage can be brought right up to the modern day, and that’s what I’m most looking forward to in They Shall Not Grow Old. Peter Jackson, king of cinematic epics and master of impossible feats, has achieved something pretty extraordinary on his new documentary feature - it seems like the sky’s the limit for the visionary director and producer. Taking 100-year-old archived footage from the BBC and Imperial War Museum’s archives, he and his production team have remastered the collected footage in spectacular color, converting it to 3D to show the First World War as it would have been seen. The trailer has been released and it gives us a glimpse of the brilliant work put into the pictures, and the comparison of before and after footage shows just how important the restoration has been in bringing to life the stories of the individuals who were part of the War. Jackson has been working on the project (named after the oft-quoted Laurence Binyon poem For The Fallen) alongside his commitments behind the writing and production of Mortal Engines, which is currently in post-production and due to arrive at US theaters in December. A lot of the footage in the BBC’s and IWM’s extensive archives was previously unseen, so this will be a special unveiling of images that very few have been able to watch for themselves. The First World War was, after all, a landmark in cinema, capturing hundreds of hours of footage of the battlefields and both soldiers’ and civilians’ lives in a way that had never been possible before. In the centenary of the end of the War, Jackson’s film will be a powerful reminder of those involved and a celebration of their lives - how they ate, slept, made friends, went about their lives - in glorious color. They Shall Not Grow Old will be premiering at the London Film Festival and at select screenings across the UK on 16 October and will include a special post-screening Q&A with Peter Jackson. Although a US release date hasn’t yet been confirmed, there will be plenty of online material covering the events of the documentary via Trafalgar Releasing.